Look for - or use - the EVENT marker in the thread title. I'm convinced there was a shite food thread - recommendations for places to eat when you're out and about - but I've tried to find it and got frustrated. One to add, or too niche? Sounds tasty. Sling it in the Open forum. Fankoo - I will. Assuming I didn't dream it (after too much cheese, maybe) mods should feel free to merge it with the existing one. Where’s the ‘Ask a shiter - non car related’ thread? Wtf has happened to the stupid question thread ? Anyway I've tried numerous times to add pics of the weekends run but they all load sideways like the wall of death. Stupid question thread is now 'ask a shitter', I think so you can ask sensible questions too. There is. I nearly added the boozer at Burton Coggles to it yesterday as I enjoyed the bean curry I ate there on Friday night. Unfortunately I think they'd used gunpowder instead of curry powder as I woke up with a horrible burning feeling in my guts later that night like I've never had before. That could have made the place eligible for http://autoshite.com...l=places to eat but since I experienced no further discomfort and the beer was OK I decided to let it off. Indeed, I let quite a few off. Before I started my last thread I read this one. I had a hunt around and nothing seemed (to me) to cover cheap motors for sale on the side of the road. Having put a bit of legwork into finding some more candidates for the thread (some crackers there were too,) I was not thrilled that when I went back to add them it was locked. I mentioned at the beginning of the Shitter's Showroom that I was fine with the thread being merged somewhere appropriate if I'd got it wrong, but if you want to award a kick in the stones for posting car stuff you just have. That includes cars for sale at side of road etc. I didn't merge it as then it resets everyones latest post to the first post. Then we have everyone complaining that posts have been merged and to stop fiddling. 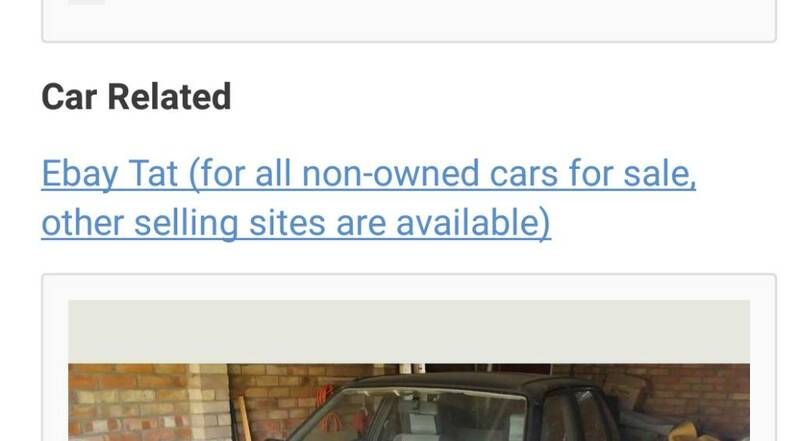 Apologies if you think it was a kick in the stones, but it has been that way for a long time- mainly to stop 1001 posts about cars for sale. It wasn't meant in any personal way at all. Happy to continue the discussion by PM. As the "Ebay tat" thread seems to keep creating confusion like this, perhaps it needs a different title, like "Tat for sale"? I don't disagree but honestly changing the title will cause huge confusion and discussions ending with people getting annoyed. It happened before with Stupid Question Amnesty thread. It is outlined above in the intro thread for clarity. Most people seem to know to put stuff in there. It is just one of those quirks that make up this place - that thread has been around longer than most of us members. FWIW your thread reminded me of a car near here that I'd been intending to post about so it was appreciated! I have duly put mine in the eBay tat thread. 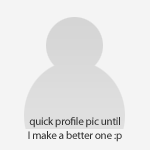 AFAIK, it just means that they haven't clicked on the 'confirm' email sent as part of the sign-up process - so their username isn't linked to an email account. I think the (bright) green username means the person hasn't confirmed their email address, so even old timers (so to speak) can sometimes be this colour. I believe you get it if emails bounce too. I've noticed I didn't get emails for weeks and then suddenly early one morning I had about 300 notification emails come through at once. I've not received an AS e-mail for ages, the domain is on my safe contacts list. Nada. Does my membership status show as validating to anyone on here? I wanted to ask a question in this thread but linky be broken. Where's it gone please? I can see it. Don't know how to link it on my phone, though. I even google searched it, and tried accessing it that way, to no avail. Do I need to put a clothes peg on it until it's warmed up? Edit: I can now see it again. WTAF? Have we merged the shite dreams and dreaming of shite threads yet? Could we have a separate non-car for sale/wanted sub forum? Having it started into one thread doesn't really work imo. But certainly not worth starting any arguments or mod bashing please.